In a large soup pot, add 2 tablespoons olive oil over medium-high heat. Add the onion and sauté for about 5 minutes; add the garlic and jalapeno and sauté for an additional 30-60 seconds. 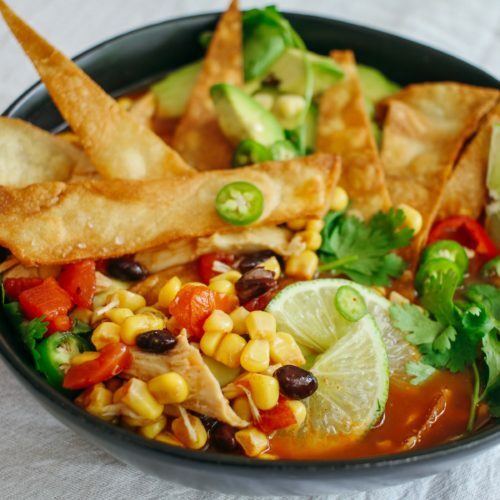 Pour in broth, tomatoes and juice, black beans, corn (if using fresh), chili powder, cumin, salt, pepper, and bring to a boil over medium-high heat. Reduce heat to medium-low, cover and simmer 15 minutes. Add chicken, corn (frozen), cilantro and limejuice to soup; stir well. 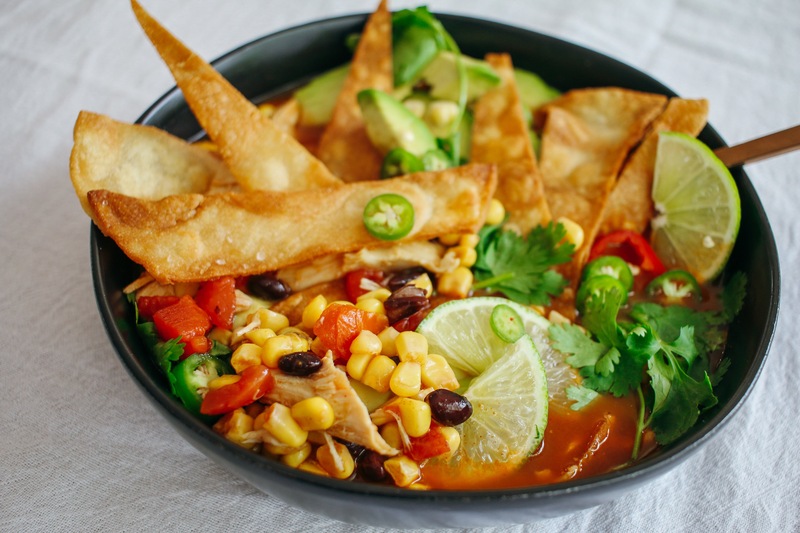 Top each bowl with diced avocados, cheese, sour cream and tortilla chips.